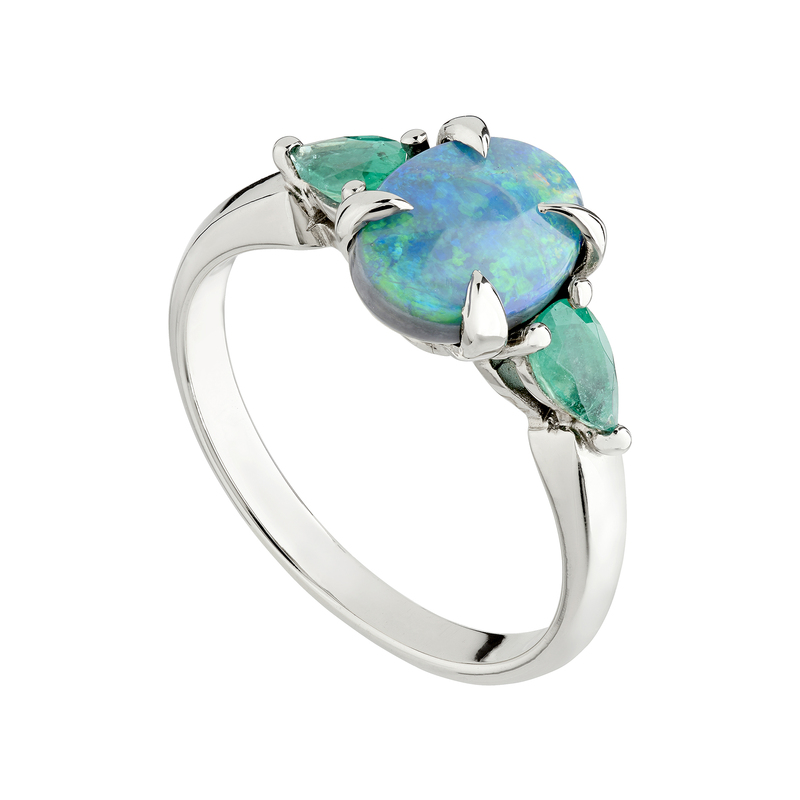 If you’re after a bit of colour in your life, then this is the ring for you! 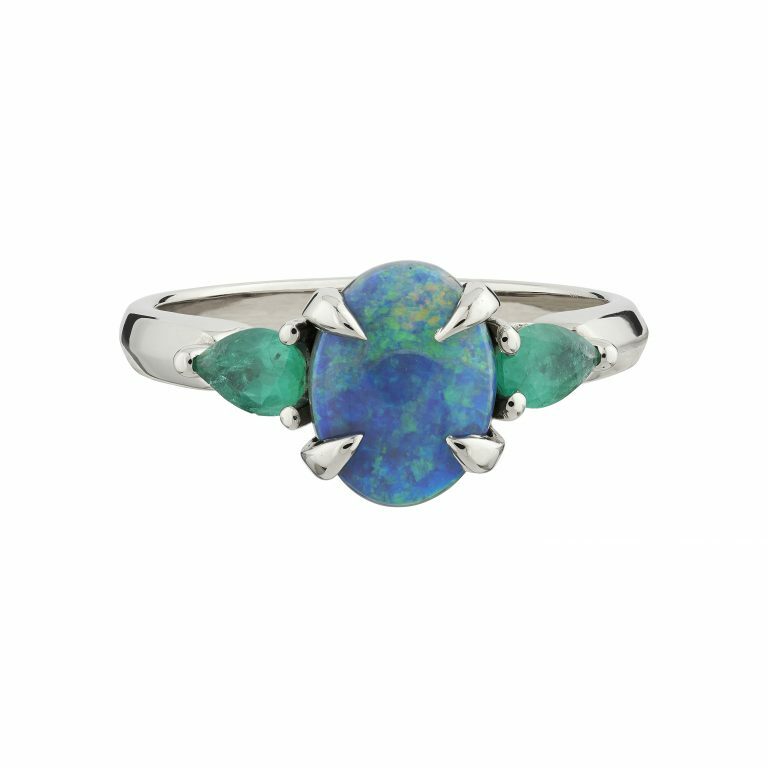 The classic setting of the white gold Coco ring is the perfect foil for the claw-set, oval Black Opal and the contrasting pear-shaped emeralds. 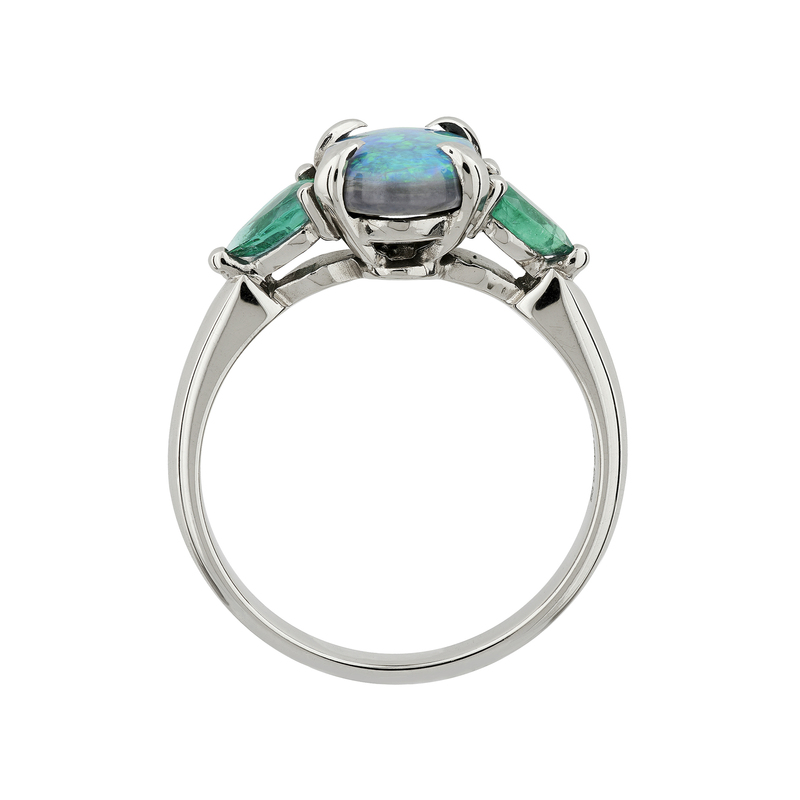 The ring is a size M. If this ring is not in stock or you require a different metal or a much larger size please contact us – we can make this ring to order in 6 weeks or if you need a similar size we can size this ring within a week.